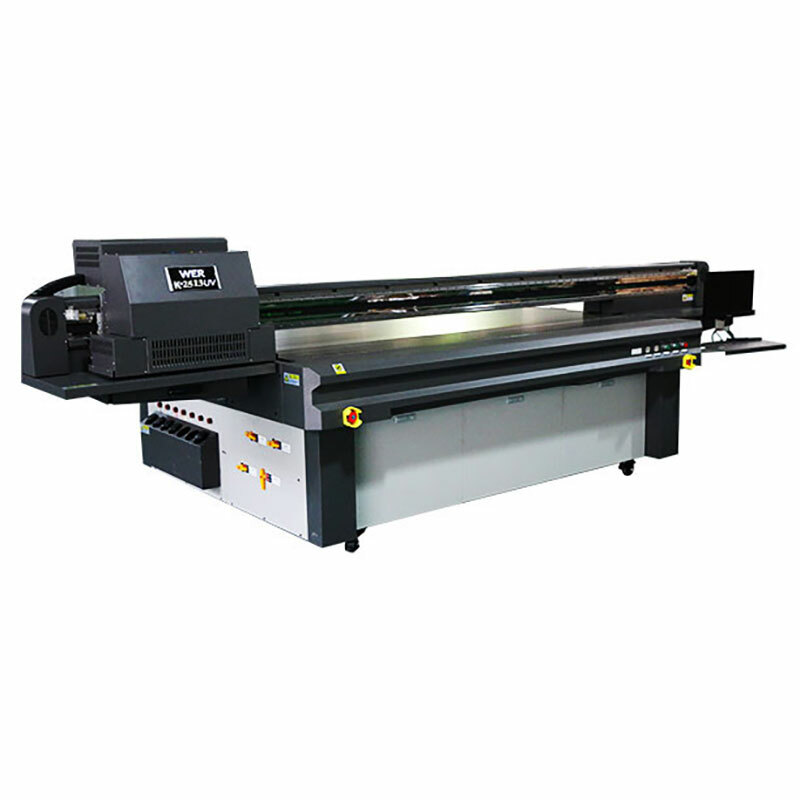 WER-K2513UV flatbed printer is a multi-functional machine. With the capability to print onto thick substrates, it offers the ability to produce a diverse range of prints for both indoor and outdoor use. It is ideally suited for applications such as backlit displays and signage, signs and posters, interior glass and ceramic decorative panels etc. Its 4’x 8’, landscape-oriented format is big enough to fit into most sign and graphic print shops. The UV-LED lamps offer reduced energy consumption and a longer lamp lifetime. *Print time does not include data transfer, equipment preheating, material loading and cleaning time. *Print speed is got under the company’s standard test environment, according to the customer’s print environment, material types and display direction, etc.different conditions, the results will be different. Images can be printed out not only onto regular paper media, but also directly onto thick media. The unit prints on media up to 100 mm thick to support expansion into a wide variety of print business applications.